It was 10 at night. Hubby and I were driving down an almost deserted freeway. The radio was playing some melodious numbers from old hindi movies. Looking out of the window, I saw lush greenery on either side of the road offering some much needed romantic touch to the entire atmosphere. To add to it, hubby and I were chatting comfortably, without arguing over any matter! The entire scenario stirred an emotion within me which I hadn’t felt in a long time. How long had it been since we had enjoyed a conversation, or even the comfortable silence between us? Ages! And, that’s when I had this irresistible urge to just grab that moment and never let it go! How often we experience such moments which we feel we could hold onto forever? Moments we share with our family, our friends, or even with ourselves, that leave us with a feeling of euphoria. Moments, that we treasure as we would our precious jewels, cherishing them for days on end, specially, on days when life leaves us feeling gloomy or hopeless. Moments, that act as a balm on our wounded souls, giving us some much needed strength to keep moving ahead. That night, as I tried to soak in that breathtakingly beautiful moment, I wondered how it would be if I tried gathering every bit of it and held it tight into my clenched fist; it would stay with me forever! But, the next instant I realised how, if I tried holding onto something so fiercely, it would all just slip away, like the sand that slips out through the gaps between your fingers when you hold it in your fist. I realised I had to just live in that moment and preserve it in some safe place within my heart. Preserve it so I can reminisce about it in some distant future, to gather courage during times of distress when life changed her colours. There are things each one of us cherishes that have stories attached to it; a moment that held promise of a beautiful future, or a blessing from one’s parents. And, these cherished things could be anything: a piece of jewellery, or an artefact, an item of clothing, or even a rose, pressed in between the fading pages of an old book. But, the memories attached to these things are the same; memories of love and laughter, of happiness and joy that strengthen our belief that life is, indeed, beautiful! As for me, I cherish moments; moments that leave me feeling on top of the world; those that fill my heart to the brim with boundless happiness and with a renewed enthusiasm to move ahead in life. Those are the moments that will stay with me always, fill my days with hope and restore my faith during the scary nights. And, these are what I will cherish, forever and ever! 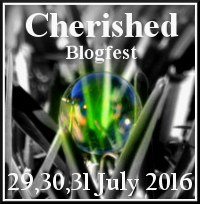 * This is my post for the Cherished Blogfest 2016. Cherish moments keep us going from strength to strength. It makes us emotional but we should always create such precious moments. I can related so much with it. I am writing my Pune Memoirs on blog and what a trip is to go back in time, trying to remember such moments. What a truly sage reminder — to live life in the moment and gather those cherished memories. Nice post. I also cherish moments a lot and I agree that the tighter you want to hold, the faster these moments slip away. Enjoy when you are there and smile. Be grateful and they will come back. Every single day. Lovely post and message there, Shilpa. You are exactly right – the things we cherish lead us back to moments of joy, sadness, pride or sorrow. they lead us to family and friends and memories we can't afford to lose. thanks you for sharing your view. I hope you have many more such moments to hang onto. yes those moments, I wish they go on and on. The talks, the laughters … just thinking about them makes me smile. Indeed those are cherished times… we can only hold them in our memories. That is so sweet, Shilpa! Family and friends, time spent with them, enjoying the moment is what life is all about. Hugs! Lovely post for “Cherished”! I so understand what you express. Those fleeting moments that you want to hold onto because they are so precious. Thanks for sharing your cherished object with the blogfest this year. Cheryl, cohost. “I realised I had to just live in that moment and preserve it in some safe place within my heart.” We should do that more often with those precious moments. Thanks for sharing. Such a wondrous reminder that we need to cherish precious moments, like reading a great blog. Thank you.